military and other uniformed personnel, reduce sexual violence and abuse by security and defense forces and increase uptake of HIV treatment, care and support services. The new initiative launched to engage the military and other uniformed personnel in HIV awareness, prevention and treatment and eliminate sexual and gender-based violence by defense and security forces, was signed by the country’s Ministry of National Defense and Reconstruction of the Army, the Ministry of Health and Population and the National AIDS Committee. 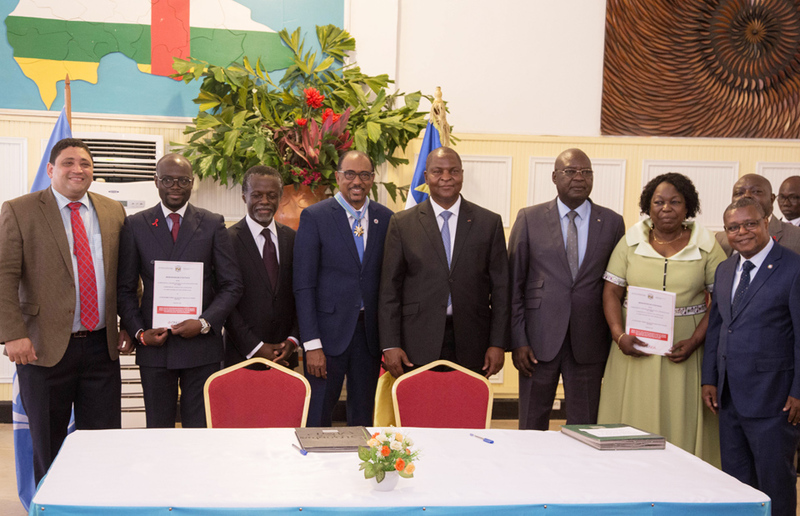 The MoU comes at a critical time as the country has the second highest HIV prevalence in central Africa, estimated at 4 per cent in 2017. However, among uniformed personnel, HIV prevalence is double, at an estimated 7.8 per cent. Knowledge of HIV among uniformed personnel in the Central African Republic is particularly low and reports of sexual abuse and violence by military personnel are widespread. “We have a responsibility to protect all our people from violence and HIV, especially women and girls, who are the most vulnerable. By focusing on uniformed personnel, we aim to transform the relationship between the new army and the population, as a key to reconstruction,” said Faustin-Archange Touadéra, President of the Central African Republic. Under the MoU the parties involved will mobilize national partners to respond to HIV and gender-based violence within the defense and security forces, reduce HIV prevalence and incidence and improve relations between the defense and security forces and the general population through integrated activities around HIV prevention and gender-based violence. Health Reporters gathered that special emphasis will be given to training and awareness-raising for defense and security forces using methods proven to be effective in reducing gender-based violence and preventing HIV. “These include improving mechanisms to report sexual violence, support for survivors and ensuring access to effective HIV prevention tools. 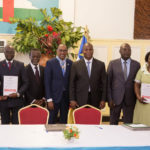 The main beneficiaries of the programmes and activities will be the defense and security forces in the Central African Republic, which include the military, the police, the gendarmerie, customs officials, water and forestry officers and the municipal police. The implementation of the MoU will also benefit the wider population through planned integrated activities between the military andBcivilians and through the impact of HIV prevention, treatment and care programmes and efforts to eliminate sexual and gender-based violence and abuse. organizations working on gender and health issues, to support the implementation of the activities outlined in the MoU.